Product prices and availability are accurate as of 2019-04-22 02:09:55 EDT and are subject to change. Any price and availability information displayed on http://www.amazon.com/ at the time of purchase will apply to the purchase of this product. 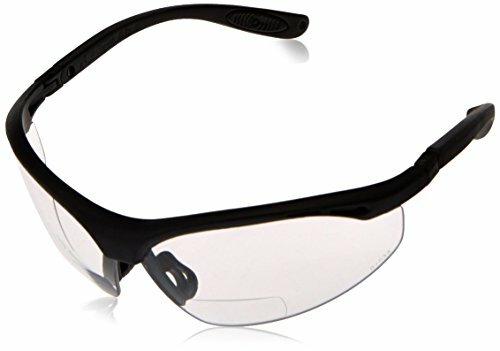 This cheaters glasses combines protective safety glasses with reading glasses. It comes with clear 3.0 lens and lightweight nylon frame. 5-Position lens angle adjustment provides a customized fit. It provides cushioned, non-slip rubber temple pads for superior comfort. 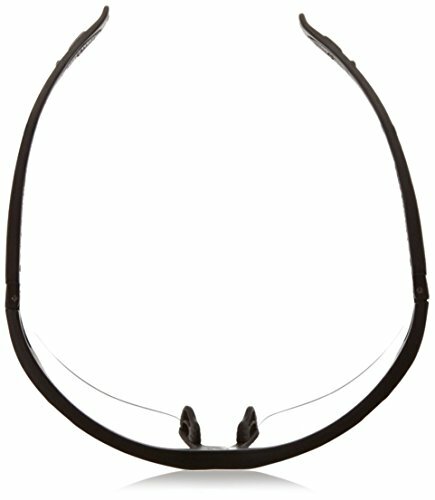 Magnification diopter is molded into the polycarbonate lens. Integrated high tech vented rubber nosepiece for all day comfort. It includes free protective sleeve. Meets ANSI Z87.1 standards and provides 99.9-Percent UVA/UVB protection.